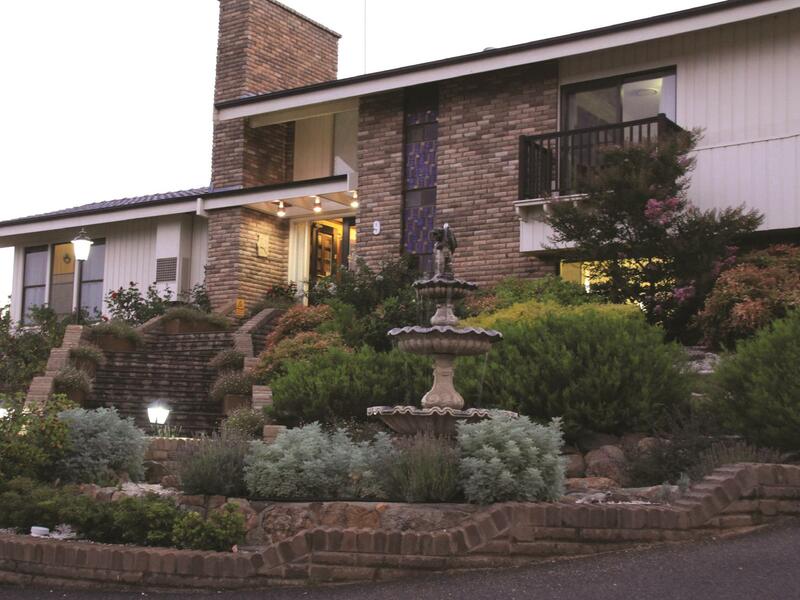 يضمن فندق Bathurst Heights B&B الذي رمم في 2013 لزائريه قضاء وقت ممتع في باثهارست، سواء جاؤوا في رحلة عمل أو سياحة. يجذب هذا الفندق ذو 4.5 نجوم، والذي يبعد 1.5 Km فقط عن وسط المدينة و 10. Km عن المطار، الكثير من الزوار سنوياً. يوفر الفندق بفضل موقعة الجيد وصولاً سهلاً إلى أهم معالم المدينة.
. يقدم Bathurst Heights B&B خدمات لا غبار عليها وكل أشكال اللياقة وحسن الضيافة اللازمة لإسعاد ضيوفه. يقدم الفندق واي فاي مجاني في جميع الغرف, واي فاي في المناطق العامة, صف السيارات, مرافق للشواء, خدمة غسيل الملابس لضمان الراحة القصوى لضيوفه. ادخل إلى واحدة من الغرف 6 وتخلص من عناء نهار طويل بمساعدة مجموعة كبيرة من الخدمات كمثل تلفزيون بشاشة مسطحة, اتصال لاسلكي بشبكة الإنترنت (مجاني), حوض الاسترخاء, غرف لغير المدخنين, مكيف هواء الموجودة في بعض الغرف. كما أن مجموعة الخدمات الواسعة الموجودة في الفندق لضمان راحتك تترك لك الكثير من الخيارات لقضاء وقتك أثناء فترة إقامتك. إن Bathurst Heights B&B هو مكان مثالي للمسافرين الذين يتطلعون إلى الراحة والاستجمام في باثهارست. found this little gem on the internet, when my usual accomodation was booked out. I was pleasantly surprised by the facilities and the warm welcome from the owners. the ongoing hospitality and service was excellent. 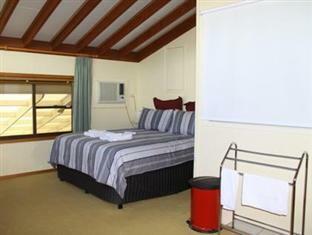 I would highly recommend this gem to anyone looking for accomodation in Bathurst. Nice quiet area. Friendly host. The room is clean. Good breakfast. Andrew & Therese are such welcoming hosts, they really went above and beyond to make my stay there wonderful. I really don't have enough words to thank them for being so accommodating and helpful during the trip, not only was the breakfast amazing, but they had so many wonderful suggestions for visiting the area. I can't wait to have an excuse to visit again. As soon as you walk in you are immediately at home. It is very clean, vey comfortable. The owners, Andrew and Therese will make your stay as effortless as possible, providing as much information as well as assistance as they can. Just ask. We didn't realise breakfast was also included so that was even better. We really appreciated your generosity on all levels. The owners were great hosts and provided what everyone wants from a B&B. 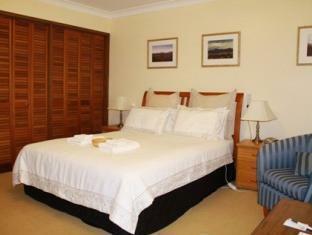 Clean, comfortable accommodation with a great breakfast in a super location. 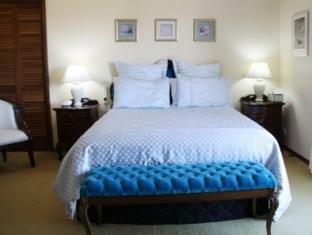 Walking distance from the town centre and only a 5 minute drive from the famous race circuit. Can recommend this property with confidence. After a months holiday in Australia, this was the best B&B. 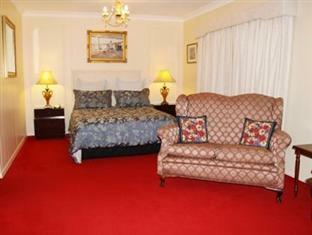 Great place to stay, very comfortable, pretty garden, and loved the spar and especially the red carpet in our room. 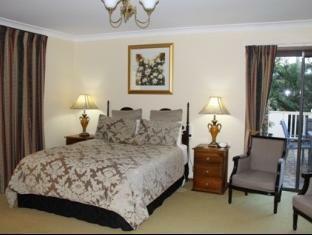 We really enjoyed our 1 night stay in Bathurst Heights. Very hospitable and helpful host. Nice and quiet location too. We hope to be back one day. A lovely place to stay, Spotlessly clean and quiet. Perfect base for exploring the surrounding region. Their deep knowledge of the local area was really appreciated. We think it helped make our time in the Central West one of the best breaks from Sydney that we've ever had. Very clean and got beautiful views. The owners Theresa and Andrew very accomodating and friendly. Nice freslhly cooked breakfast . Overall a great stay. Great place to stay - one of the most cleanest places that I have stayed in. Andrew and Theresa and lovely people and they are very friendly and helpful - but sometimes a little too friendly, they have to remember that they are the owners and we are the paying guests. We had a great stay. Room was great and staff were friendly. Great place, the view is amazing, a short walk to town, we didn't get to try the full breakfast as we had to be up early. My first time in Bathurst and living in Bathurst Heights B&B. I feel comfortable and happy. We enjoyed our stay there. 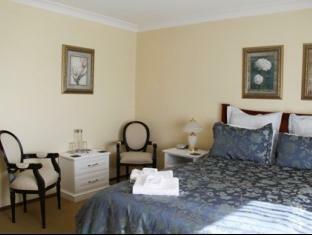 Good service and nice room, the hotel is very well decorated and the staff are very hospitable. I feel very comfortable.